Did you know that exposure to radon gas is the second leading cause of lung cancer in the United States? Radon exposure is a health hazard that homeowners throughout the country should be aware of, but it’s particularly problematic in regions that have a documented record of elevated radon levels. In Iowa and North Dakota, for example, not a single county has median radon levels below the EPA’s recommended action level of 4 pCi/L. According to the Kentucky Association of Radon Professionals, living in a home with a radon level of 4 pCi/L is equivalent to smoking 8 cigarettes per day. Here in New York, there are at least 10 counties in the southern half of the state that have median radon levels above the EPA’s recommended action level as well. In parts of Chenango County, radon levels as high as 25.7 pCi/L have been recorded. In other counties such as Steuben, Cortland and Tioga, you don’t have to look far for stories of people whose loved ones have battled radon-related lung cancers. That’s why some state legislators and nonprofit groups are working hard to educate people about the health risks associated with radon exposure, and pass new bills that would require homeowners to test their homes for radon and disclose the results to prospective buyers before selling them. 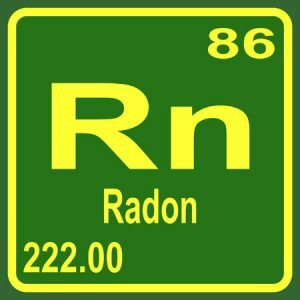 Although many property owners are familiar with the carcinogenic effects of radon gas, they may still be reluctant to invest in radon testing and mitigation techniques. If you live in a part of the Southern Tier with a history of elevated radon levels, however, it’s imperative that you have your home tested for the presence of this deadly radioactive gas. To learn more about how Radon Zapper can help to reduce your risk of harmful radon exposure, give us a call at (845) 467-1117 or contact us online today.